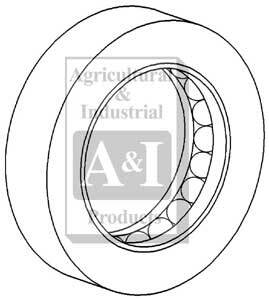 Walt's Tractor Parts | Allis Chalmers Tractor Parts | AC Steering Parts---2016 | AC Spindle/Hub/Wheel Bearing Kit/Bushing/Thrust | 6140 (before s.n. 2711). Fits: 6140 (before s.n. 2711). 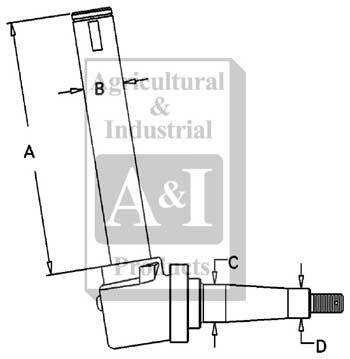 Dim A (1) A - 12.500"
Dim D (4) D - .787"